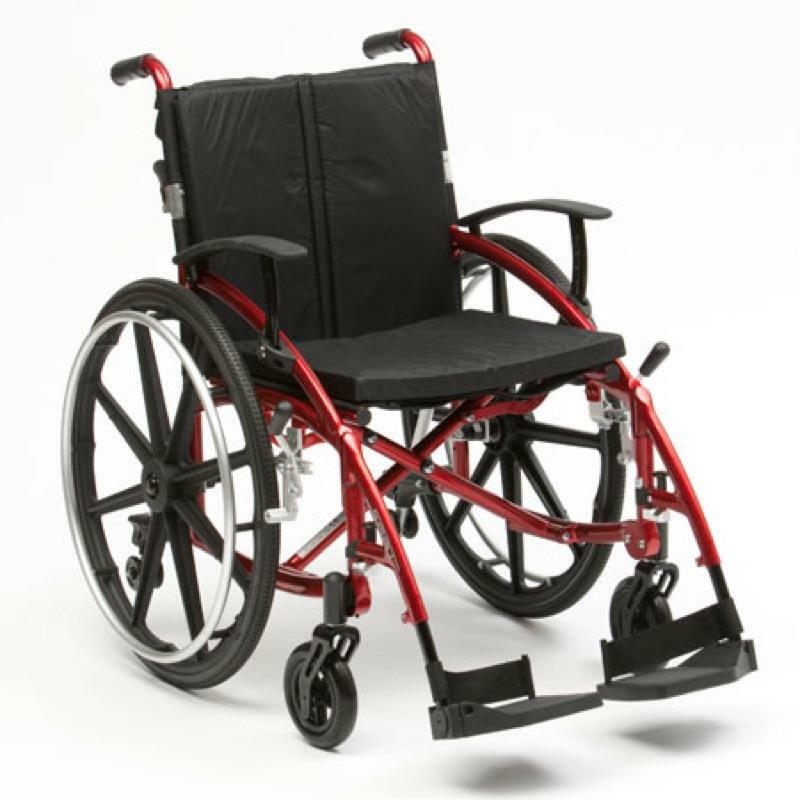 The Spirit wheelchair includes many features not normally found on wheelchairs in this price range. These include one touch adjustable arm rests, padded seat cushion and adjustable back rest, height adjustable anti-tip wheels and long reach brake handles. This version is supplied with Mag wheels - a durable composite moulded wheel instead of a traditional spoked wheel. See a review of this product here.